This review of the invasion of the human brain by tumors is based upon a comparative approach. The taxonomic distribution of a structure of the CNS to be considered a brain is present in the following taxonomic groups: Mollusca (Cephalopoda, Pulmonata) Sipunculida, Echiurida, Annelida, Arthropoda and Vertebrata (fishes, amphibians, reptiles, birds and mammals). The comparative approach (inter-, and intraspecies specific) provides a more informative, indicative, understanding of invasion of the human brain; especially in view of the morphological and functional heterogeneity of structures playing a role in the neoplastic invasion to and from the brain. It can be distinguished among primary invasiveness (as cancer in situ) and local recurrence on the one hand and remote spreading, such as metastasis, on the other. 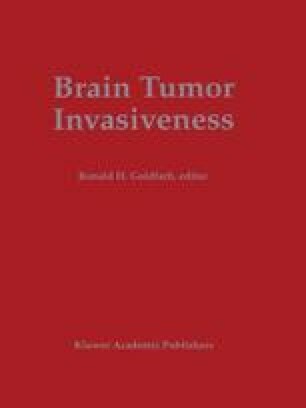 A review of the recent literature arranged according to tumor types is provided and comparative conclusions elucidated, especially to underline the tumor specificity of the invasion of brain tumors, especially the second or intra-species specific approach is therapeutically important. This is set forth against a background of epidemiology and species specificity. Due to the lack of bony skull capsule an extensive knowledge of the brain of cephalopod molluscs with its functional and morphological similarity to the human eye, and also that of the pulmonate Helix pomatia, the vineyard snail, could well serve as excellent oncologic models. Some conclusions can be drawn dealing with the theoretical possibility of first appearance of the different and heterogeneous components of the complicated structure known as brain including its supporting accessory organs during phylogeny.